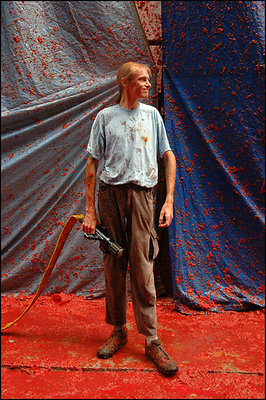 About Just after "La Tomatina"
Terrific color, shapes, and splatter -- I love it. I like the smile on his face.Great colours and interesting subject. Thanks Frank, this was my fiest time there, but not my last!!! There are plenty of opportuties and the risk isn't excessive. what a battlefield ! great colours.